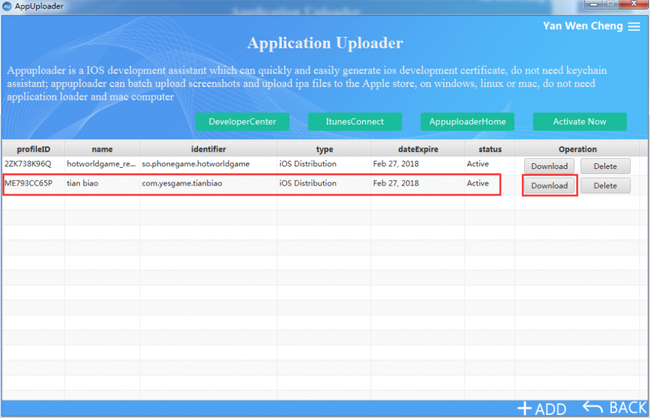 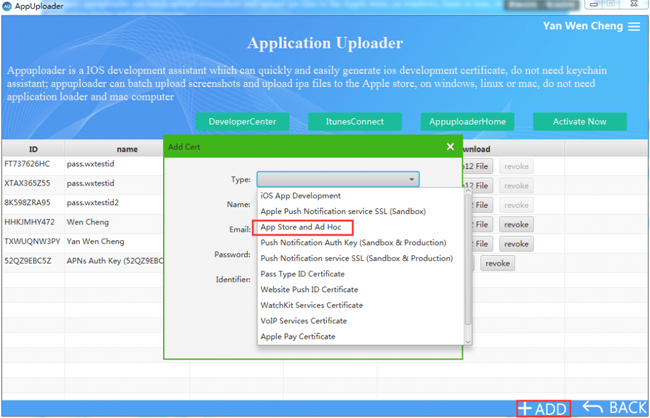 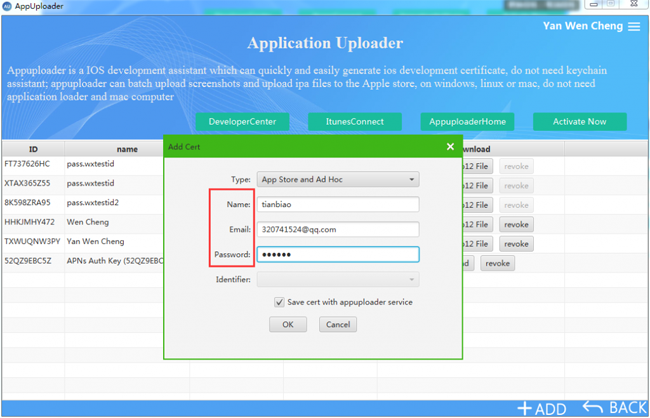 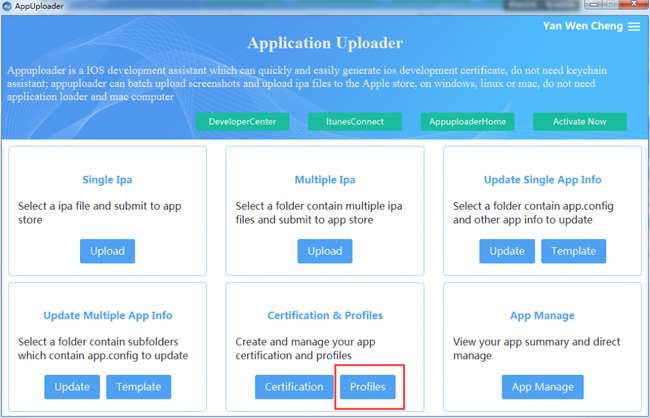 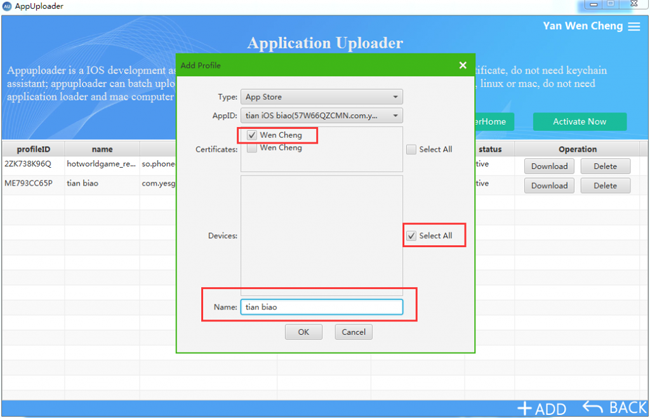 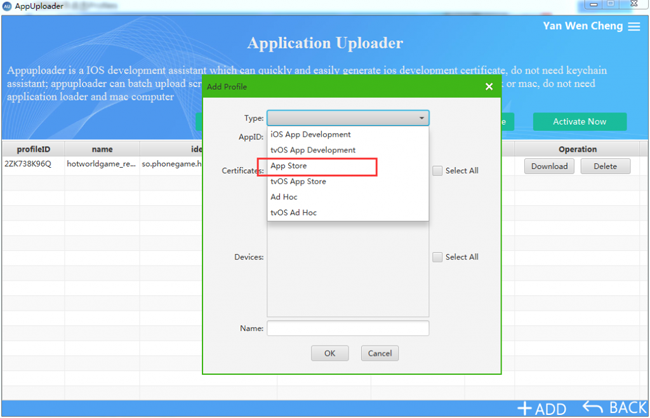 IOS certificate application here to use a tool Appuploader, you can quickly create. 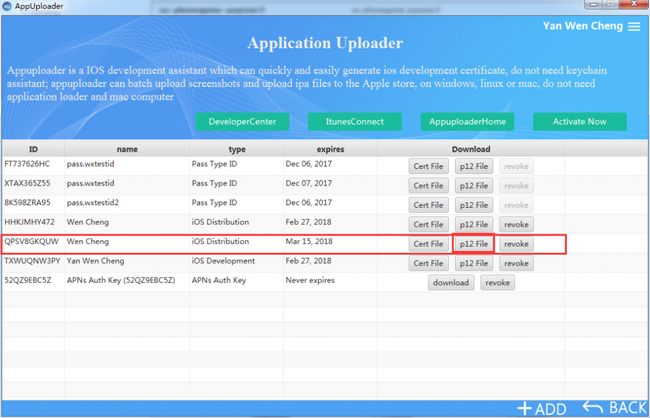 P12 and .mobileprovision iOS certificate file. 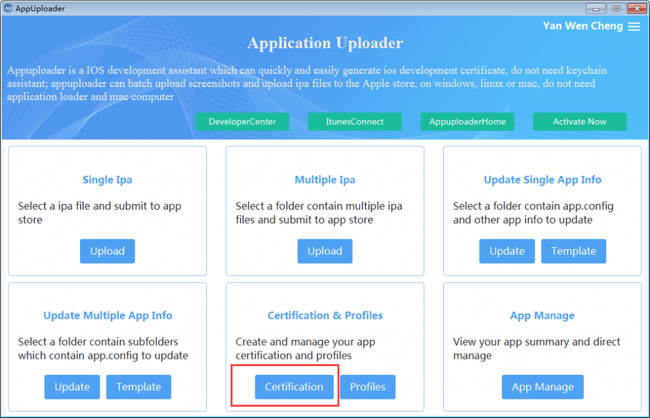 now issued a certificate（.p12）and.mobileprovision, the release of the description file are available, you can go pack ipa.